Cold Sniff: 2/5 One of those weird fake chocolatey melts with a hint of something leafy. Warm Sniff: 2.5/5 The chocolate was still there, but it was subdued by the smell of cinnamon and fake leaves, kind of like fake scented holiday decor you might get from a craft store. It definitely wasn't my cup of tea, though. Melting Power: ?/5 I only let it go for about two hours before calling it quits and switching the wax out. Repurchase: Nope. 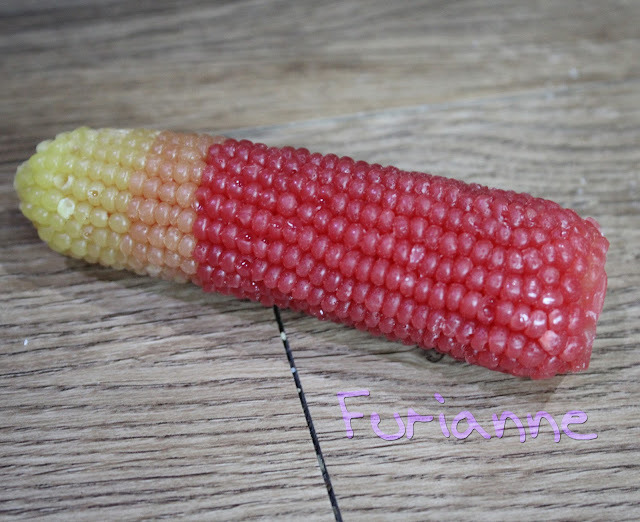 I really wasn't a fan of this and tossed the other half of the corn. Ah well, you win some and you lose some. This tart is so cute! Too bad the scent didn't work. Based on the tart look and the name I was drooling until I read the description. No fake chocolates and artificial scents for me.